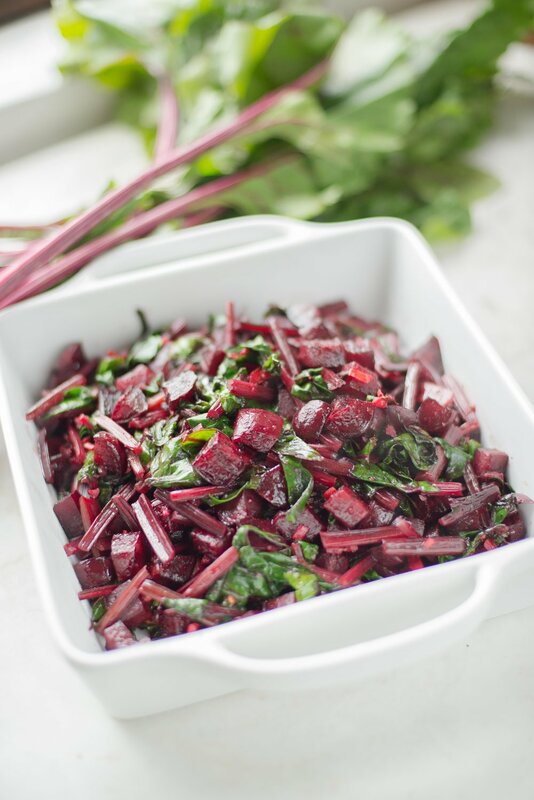 word on the beet: cook the greens, too! As you can probably tell, we are all-in when it comes to beets this month. One of the best parts of our favorite root veggies is that you can use the entire plant. From the root to the greens, beets are a viable source of nutrition. Did you know beets were originally grown just for their tops? Yup! That's why we decided to whip up an easy, nutritionally-dense recipe this month that uses as much of the beloved beet as possible. So, check out our quick and easy recipe below and make your own sweet beet treat to go along with dinner tonight! Trim and peel the beets and cut them into 1/2-inch pieces. Reserve in a bowl and drizzle with 1 tablespoon of the olive oil and season with salt and pepper. Toss in bowl until coated evenly. Spread beets evenly on a baking sheet. Roast the beets for 20 to 25 minutes, until fork tender and starting to caramelize. Once roasted, remove from the oven and place to the side. 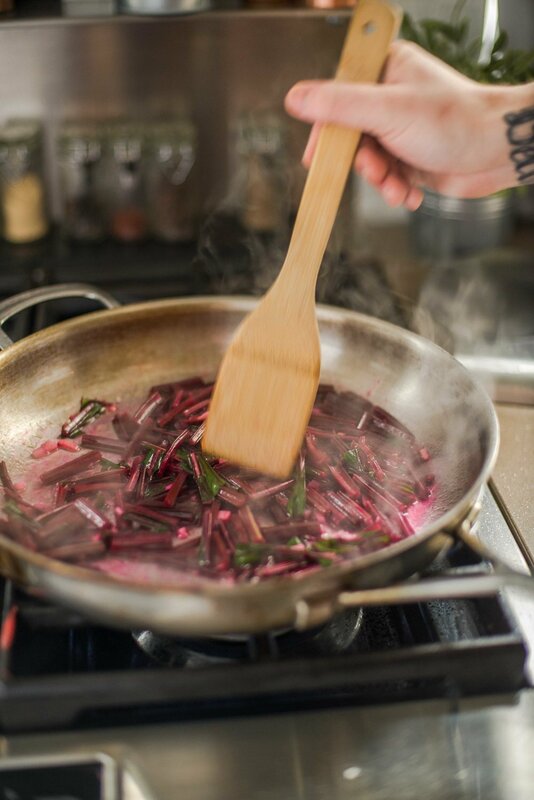 While the beets are in the oven, wash and dry the greens well. Remove the green leaf from the stem. Chop the stem into 1-inch segments and roughly chop the leaves. In a large pan heat over medium heat remaining olive oil. Add the garlic and sauté until translucent. Add the stems and water stirring frequently until stems are tender. Once the stems are cooked, add the leaves and cook until they are wilted. Add lemon juice, and red pepper flakes and season to taste.